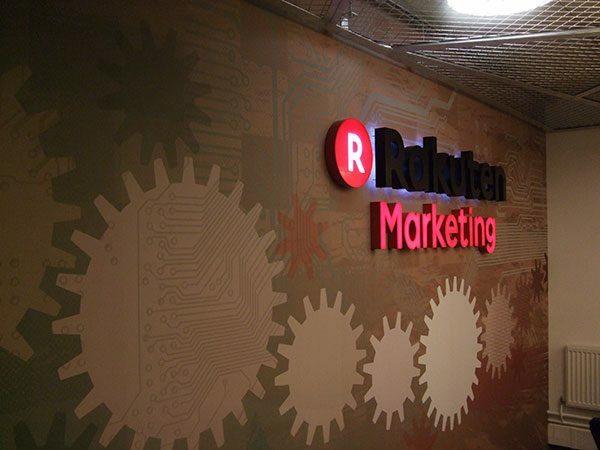 I was recently commissioned by Minton Young to make a mural for the new engineering department of Rakuten Marketing’s offices here in Brighton, UK. 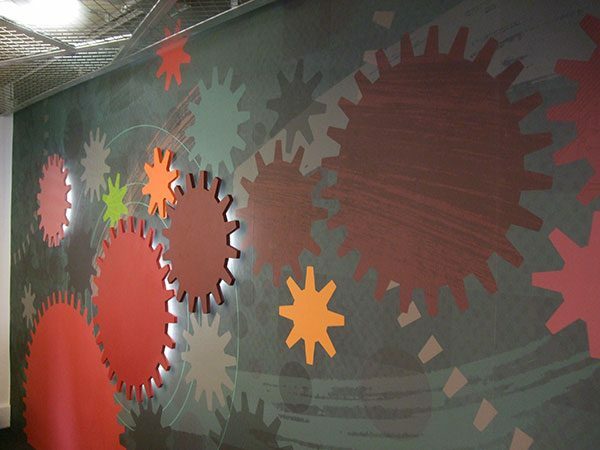 The brief required full coverage, a particular palette, and for the artwork to focus on cogs (being the engineering floor) and complement aspects of the overall office design, such as the industrial-looking metal mesh ceiling. 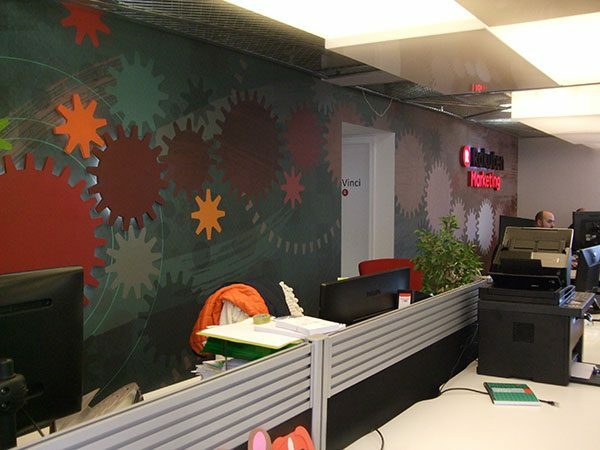 It also featured some 3D elements – CNC-cut, backlit cogs and a light-up perspex logo, and went through many drafts, not to mention push my computer’s RAM to its limits, so it was a hefty and exciting project in many aspects!